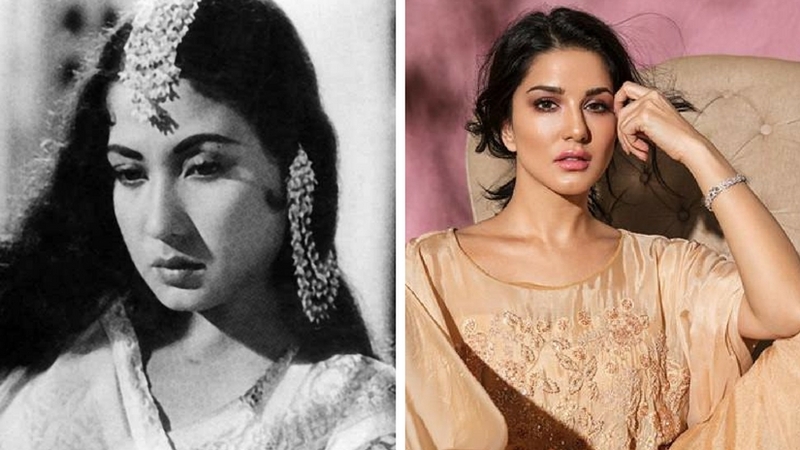 For a long time now, there have been rumours doing the rounds about an upcoming biopic based on Bollywood’s “tragedy queen” and veteran actress Meena Kumari. First, it was reported that Vidya Balan might play the Pakeezah star in the film. Then there were speculations that Madhuri Dixit has been approached for the role. Now, according to a report by The Bombay Times, actress Sunny Leone might play the legendary actress in the biopic. Director of the film, Karan Razdan — known for films like Diljale (1995) and Deewane (2000) — told Bombay Times that of all the actresses that he has approached, Leone was the most enthusiastic about doing the film. “I think the only one who is courageous enough and said, ‘When can we start this film?’ has been Sunny Leone. I have narrated it to Madhuri and Vidya but it didn’t work out for one reason or the other. Sunny came along, she said she had heard about this film and wanted me to narrate it. I met her at her house, had a long narration. I don’t know… She is not the ideal choice, I would say. But she was the most enthusiastic about doing the role. I guess, she also saw this as her big chance,” says Razdan. According to Razdan, when he had approached Balan for the role, she declined saying she wants to do a less-serious role. Balan’s latest release Tumhari Sulu has earned her numerous accolades along with commercial and critical acclaim.